Jason McMartin specializes in the areas of systematic theology, religious epistemology, philosophical theology and theological integration. Recent investigations have included the epistemic effects of sin, eudaimonistic ethics, and the doctrines of sin and humanity. 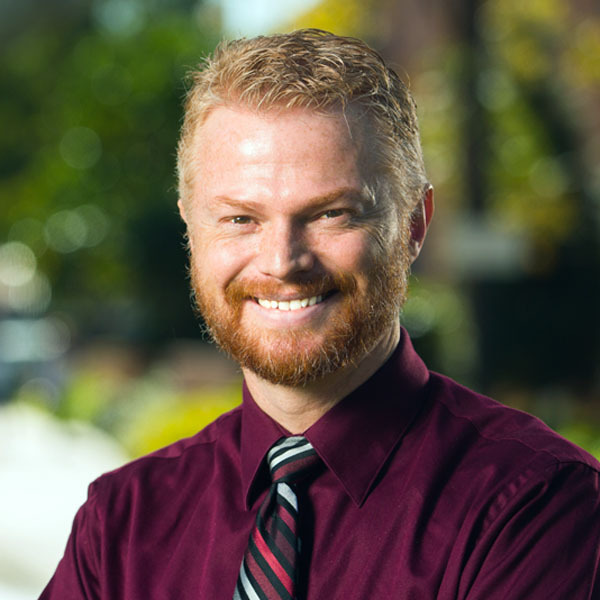 He teaches systematic theology and theological integration for Rosemead School of Psychology and for Talbot School of Theology and serves on the pastoral team of a local church, overseeing equipping ministries. McMartin, J. (2016). Reason. In Johnson, K. L. & Lauber D. (Eds.). T&T Clark Companion to the Doctrine of Sin. London: T&T Clark. McMartin, J. (2015). The Work of the Holy Spirit in Natural Psychological Growth. Journal of Psychology and Christianity 34(3), 214-225. McMartin, J. (2013). Sleep, Sloth, and Sanctification. Journal of Spiritual Formation and Soul Care 6(2), 255-272. McMartin, J. (2013). The Theandric Union as Imago Dei and Capax Dei. In Crisp, O.D. and Sanders, F. (Eds.). Christology Ancient and Modern: Explorations in Constructive Theology. Grand Rapids: Zondervan, 136-150. McMartin, J. (2013). Analytic Philosophy and Christian Theology. Religion Compass 7(9), 361-371. McMartin, J. (2011). The Virtue of Courage in the Western Philosophical Tradition. In Celinski, M.J., & Gow, K.M. (Eds.). Continuity versus Creative Response to Challenge: The Primacy of Resilience and Resourcefulness in Life and Therapy. New York: Nova Science Publishers. Langer, R., Hall, M.E.L., & McMartin, J. (2010). Human Flourishing: The Context for Character Development in Christian Higher Education. Christian Higher Education 9(4), 336-360. Hall, M.E.L., Langer, R., & McMartin, J. (2010). The Role of Suffering in Human Flourishing: Contributions from Positive Psychology, Theology, and Philosophy. Journal of Psychology and Theology 38(2), 111-121. “Prayer is the Meaning of Life,” invited lecture for “Analytic Theology for Theological Formation” lecture series, Fuller Seminary, May, 2016. “Psychological and Theological Perspectives on Enjoying Physical Pleasures Well,” with M. Elizabeth Lewis Hall, Christian Association of Psychological Studies International Conference, March 2016. “The Voice of God in Historical Biblical Criticism,” with Timothy H. Pickavance at the Fourth Annual Los Angeles Theology Conference, Fuller Theological Seminary, January 2016. “The Noetic Effects of Sin, False Selves, and Theological Vocations,” Evangelical Theological Society Annual Meeting, November 2015. “’Jesus sought me when a stranger’: Hospitality and Intellectual Virtue.” Biola University Center for Christian Thought conference: Intellectual Virtue and Civil Discourse, May 2015. “Electronic Arousal Addiction, Mindfulness, and Wellness: Implications for Clinicians and Educators,” with Alyssa Aguilar and Doreen Dodgen-Magee, Christian Association of Psychological Studies International Conference, April 2015. “The Virtue of Intellectual Attentiveness for the 21st Century,” Pacific Society of Christian Philosophers, March 2015. “God’s Blessedness and Triunity: Implications for Therapeutic Relating,” Evangelical Theological Society Annual Meeting, November 2013. “Soteriologies of Suffering: Varying Visions of Technology as the Path toward Flourishing,” Baylor Symposium on Faith and Culture 2012: Technology and Human Flourishing, October 2012. “The Imago Dei as the Capacity for Relationship: Unifying Relational and Ontological Theories,” Far West Regional Meeting of the Evangelical Theological Society, April 2011. “Reassessing the Biblical Case for Anthropological Dualism: A Response to Joel Green,” Evangelical Theological Society Annual Meeting, November 2010.